When troubled Taylor Truwell is caught with a stolen car and lands in court for resisting arrest, her father convinces the judge of an alternative to punishment: treatment in a juvenile psychiatric correctional facility. Sunny Meadows is anything but the easy way out, and Taylor has to fight hard just to hold on to her sanity as she battles her parents, her therapist, and vicious fellow patients. But even as Taylor struggles to hold on to her stubborn former self, she finds herself relenting as she lets in two unlikely friends-Margo, a former child star and arsonist, and AJ, a mysterious boy who doesn't speak. 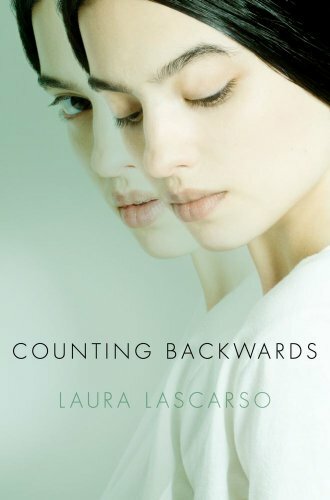 In this striking debut, Laura Lascarso weaves together a powerful story of anger and self-destruction, hope and love. Holy awesome cover! This seriously drew me from the first second I saw it. I wasn't surprised to learn that a psych ward would be the setting. Yikes! This debut sounds totally captivating and I absolutely can't wait to read.